Spiritual Healing uses divine energy for healing. The primary source of spiritual healing energy comes from God who is the source of all life. This form of spiritual energy is very potent and can heal a lot of ailments. The spiritual healing energy or divine healing energy then passes through higher beings like great angelic beings, great prophets or avatars, holy master, saints, great spiritual teachers, healing angels and others, then to the soul and etheric body of the healer. 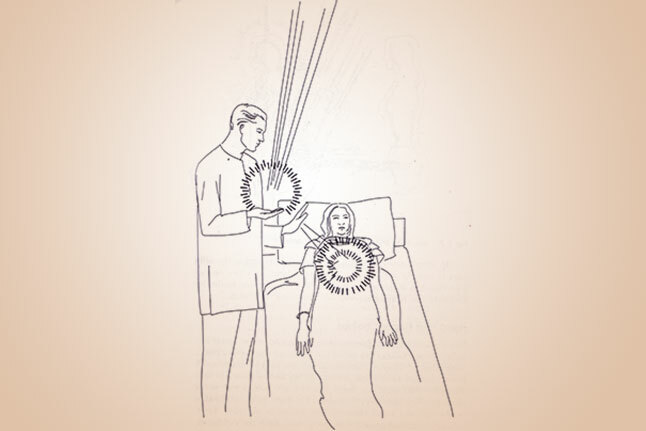 The healer can then passes on this spiritual energy to the patient’s etheric body and physical body. The healing energy can also be passed from the soul of the healer to the soul of the patient then to the patient’s etheric and physical bodies. Different religions such as Christianity, Buddhism, Islam, Taoism, Baha’i, Judaism, Hinduism and others also practice Divine healing using Divine energy. Spiritual healing energy is an electric violet light or brilliant white light and it contains all the properties of color prana. Divine energy or spiritual energy is usually used for treating severe ailments and not simple ailments. Spiritual healing is used when the healer has to treat lots of patients with simple or severe ailments in a very short period of time. Electric violet light has a consciousness of its own. It knows where to go and what to do. It spreads out to the affected area and heals it. If the divine energy is projected to the ajna chakra, it will go to the affected chakras and affected parts. Then the diseased energy will be expelled, all the over-activated chakras will be inhibited and all the under-activated chakras will be activated. Furthermore all the organs that are weak and inflamed will be strengthened and soothed. Spiritual healing energy along with being very powerful is also extremely subtle. The patient has to be very receptive for rapid healing to occur. If the patient is not so receptive, then the healing will be slow. It will not be as effective as its potential. But if the patient is not receptive at all, then he or she will not be healed. 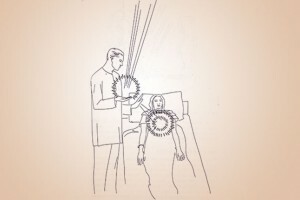 If the patient is not receptive and does not want to get well, the healer may project a lot of brilliant electric violet light but this energy will not be absorbed by the healer. It is better option to use ordinary white prana or ordinary color pranas if the patient is not very receptive. But then it is possible to increase the receptivity of the patient by silently or verbally reciting an affirmation for receptivity. Electric violet light can also be used for cleansing and energizing the affected chakras and parts directly. If energized directly, the lower chakras are not responsive to the electric violet light. The upper chakras in human body are more responsive to the electric violet energy than the lower chakras.